Did anyone else just want to stay in bed this morning? Mondays are always tough and a comfy, cozy bed is just much more welcoming than the chilly winter days we can’t get away from. One of our (many) current decorating projects is to update our bedding to make it cozier and also fit the new theme of the house. I recently discovered Parachute bedding and I think it is really the perfect basic bedding! 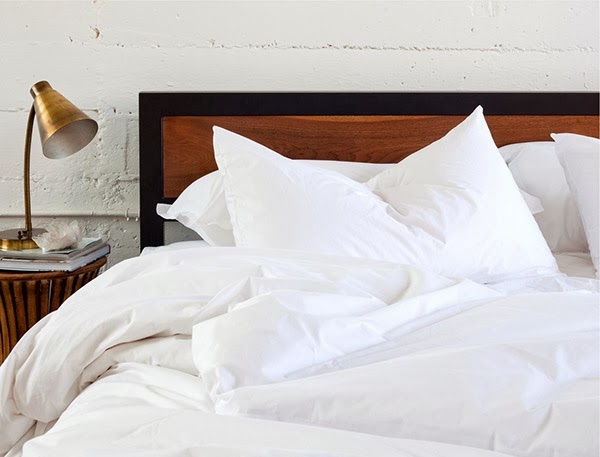 Parachute bedding is designed in LA and made in Italy, which immediately makes you think that it is going to be expensive but that’s not actually the case. As you’re seeing a lot of lately with some other companies (my favorite being SIXTWENTY), they’ve simplified the retail process, cutting out markups and bringing down the retail price to the consumer – meaning that their starter package is under $250. You can get cool and crisp No. 4 Percale or smooth and soft No. 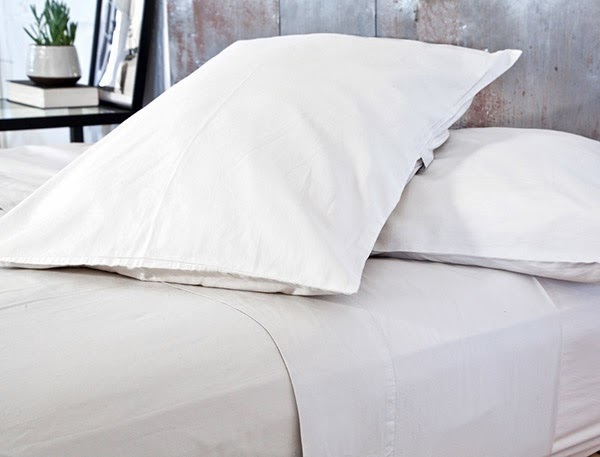 8 Sateen in White, Powder or Ash. 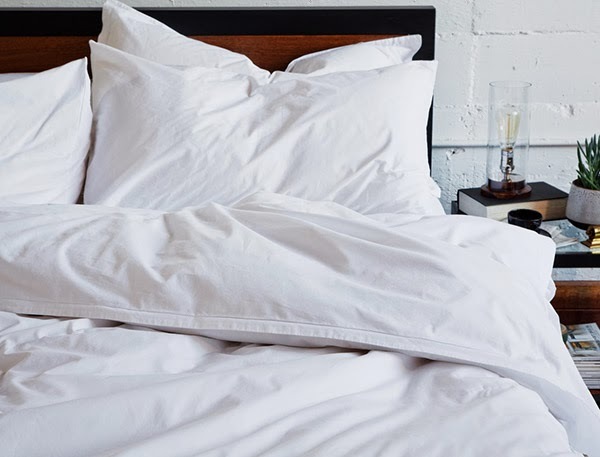 My picks are the signature bedding set, The Venice, which is a duvet cover, fitted sheet and two pillowcases – the set is designed to forgo the top sheet and keep it simple. Although my husband may disagree, I’m not sure I’m totally ready to give up a top sheet, so I’d also be adding a top sheet and two more pillowcases (we sleep with LOTS of pillows). So it’s really easy to mix and match and set up your bed for a cozy night sleep. I love that the colors are simple and sophisticated so you can accessorize with pillows and fanciness during the day but at night, it’s all about comfy, cozy sleep. Right now, Parachute is also running an Instagram contest that gets you $25 off of your purchase. All you have to do is post a photo of your bedding to Instagram and tag @parachutehome (follow them too, while you’re there!). Click here to shop the entire Parachute collection.